Apart from buying an off-the-shelf e-bike or buying a conversion kit for your bicycle, you also have the option to start your own DIY electric bike project almost from scratch and achieve the performance & looks that you are specifically aiming for. There are different degrees for the complexity of such a project, depending on how much you want to go wild and how much spare time & money you have. It can be as simple as a slight variation to the conventional conversion kit installation or as complex as designing and integrating almost every individual part. hopefully have a lot of fun during the project. learn a thing or two about bicycles mechanics and working with electronic. spend less money in comparison for buying an off-the-shelf e-bike with the same level of performance. have a very unique e-bike. 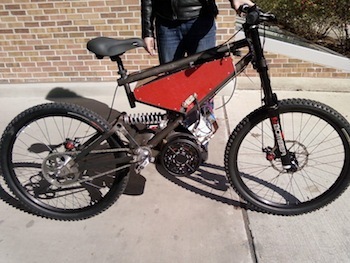 If you don't know what you are doing there is a chance that you will build an e-bike that is too unsafe to ride on. Maybe the power will be too high for the bicycle, maybe you would put too much weight where it shouldn't be and so on. You will probably spend a considerable amount of time (especially if this is your first project). You can end up spending much more money then what you've planned to in the first place. The warranty of the different parts may not be covered. You should check in the warranty agreement to see what kind of changes to different parts is allowed and what is not allowed. Not so long ago, the first e-bike adopters and innovators had a hard time finding and buying the parts that were suitable for their needs. It wasn't an easy task. 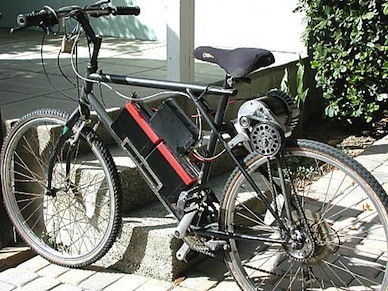 Nowadays, as the popularity of e-bikes and electric vehicles as a whole is rising, it is much easier to complete such a DIY electric bike project. It's certainly doable. Because you design and assemble the electric parts on your own, you can basically buy a motor as powerful as you want. But putting together your own e-bike does not frees you from the law in you country. Not obeying such laws can be risky and in a case of an accident you would probably not be insured and the consequences could be not pleasant at all. Go to the DIY projects page to get detailed information about anything from calculations, mechanical work, electrical work and more. You can use the calculators to get a rough estimate of the performance that best fit your needs. To learn more about the different electric bicycle parts, go to the parts & structure page where you will find a very detailed information about the different parts. 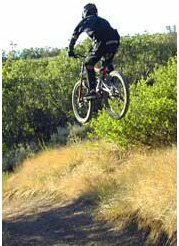 For a comprehensive list of different electric parts, log on to the ebikes accessories page. If you want to burden your understanding on the bicycle itself, a great place to start is the bicycle science book which will guide you on everything there is to know about this beautiful machine , or read any of the other books in the books page. Log on to my electric bicycle workshop page where I share my own ideas about the project that I'm thinking about, building right now or planning on building in the future.